SETsquared Bristol member, Ziylo, has been acquired in a deal worth up to $800m (£625m) in potentially one of the largest successes in the history of its spin out parent, the University of Bristol. The biotech company has sealed the deal with Copenhagen-based pharmaceutical giant, Novo Nordisk, who will gain full rights to Ziylo’s glucose-binding molecules, which have the potential to become a revolutionary treatment for diabetes. Ziylo’s synthetic molecules will be combined with glucose-responsive insulin developed with Novo Nordisk, which could lead to better metabolic control for those living with diabetes. Diabetes is the 7th leading cause of death in the world; it is estimated that 382 million people are living with diabetes worldwide, with most of those needing to take insulin. “Novo Nordisk, as the leader in the diabetes field, is the ideal company to maximise the potential of the Ziylo glucose binding molecules in glucose responsive insulins and diabetes applications, and it brings hope of a truly ground-breaking treatment to diabetes patients. A spin-out company from the University of Bristol, Ziylo went through the ICURe programme to validate their idea in the marketplace before joining SETsquared Bristol in 2015 and progressing through the business incubation programme. 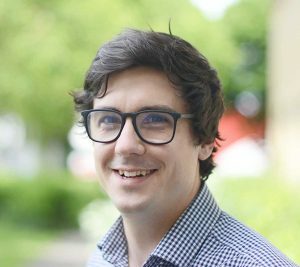 Harry Destrecroix founded the company whilst finishing his PHD at the University of Bristol, and is also a co-founder of SETsquared Bristol’s partner, the Unit DX science incubator. Ziylo’s earnings from this could exceed $800m upon the achievement of certain development, regulatory, and sales milestones by Novo Nordisk. Since closing the acquisition, certain research activities have been spun out of Ziylo to Carbometrics, a new company that will assist Novo Nordisk with the optimisation of glucose-binding molecules for use in glucose-responsive insulins. Carbometrics will keep their base at the Unit DX science incubator in Bristol, and will remain closely associated with the university and have now become SETsquared Alumni members. Ziylo is just one of the SETsquared members to secure momentous business success this year, with BOXARR raising over £2 million in funding, and Ultrahaptics signing two global deals for its touch-tech at CES 2018 in January. Click here to sign up to our mailing list to hear all the news from our current members and alumni.